Mental health is invisible. In fact, mental health symptoms are rarely obvious. 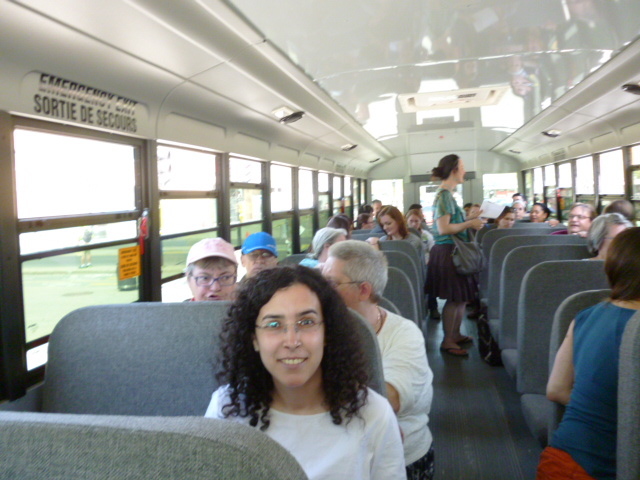 The Montreal Guided Tour organized by Action Autonomie is a good opportunity to meet people dealing with mental health issues and to do something fun together. This visit is also an occasion to talk about mental health and barriers to better social integration. Research confirms the lack of institutional support for young women with mental health issues making it more likely that they will be deemed unstable by the state and end up in prison instead of receiving adequate access to mental health services. Such was the case of Ashley Smith, a young woman of 19 who died in prison in October 2007 and whose mental health issues weren’t identified until after her death. The story of Ashley Smith reminds us the invisibility of mental health problems and the gaps in the system when addressing problems of people living with mental health issues. The stigma associated with mental health is common in our society. Many times we heard that people with mental health issues are lazy, permanently disabled and even violent. On the contrary! And we will prove it through this guided tour! So, join us on May 7th! And follow us on Facebook for more details (pictures and comments)!